A wide array of capabilities for enabling communication, collaboration, and compliance are offered as part of Office 365 and SharePoint Online. However, the migration planning for either platform must include understanding how the capabilities in these platforms will be used, how these platforms will be integrated with other IT initiatives across the organization, what the total cost of ownership will be, managing the user experience, and how third party capabilities will be used. 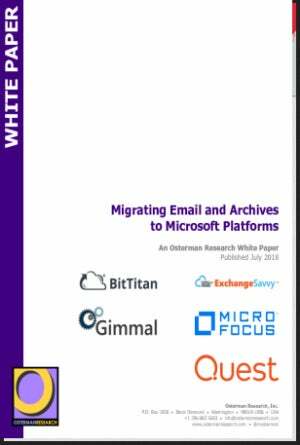 This white paper explores the key issues involved in migrating to these Microsoft platforms.